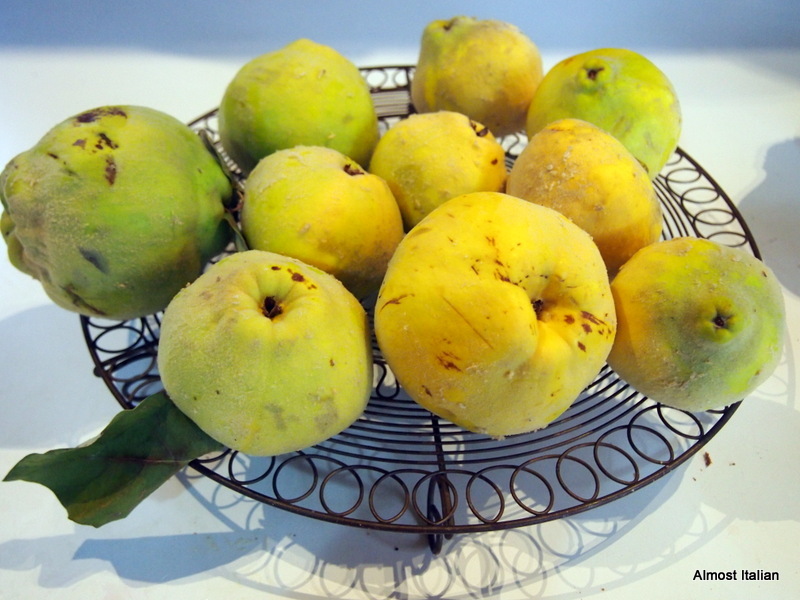 We never ate quince at home when I was a child, nor did my mother make jam from quince, but I do remember tasting it when I was very young. That unusual sweet tang was firmly embedded in my food memory, like a little chip of sensual data, by my Aunt Edna. She was an excellent cook and often made quince jelly, one of the many jams that appeared at her banquet sized afternoon tea of scones and cakes. I didn’t understand the taste then, but I loved it. Now, I might describe it as ambrosial, ancient, and enticing. Poached quince in sugar syrup, with lemon peel and vanilla bean. Years later, at the age of thirty to be precise, we moved to the country and I rediscovered that refined sweet flavour of Persia, Aphrodite and roses. The annual gathering of quinces from Norma’s orchard involved roaring down a rutted and overgrown dirt track in her old Subaru, with Poppy the dog on board, to the old fairyland quince grove beside the banks of the Diamond Creek. It was well hidden from human and bird predators. The trunks were grey and lime with lichen, the neglected trees gnarled and contorted, but they still cropped yearly. 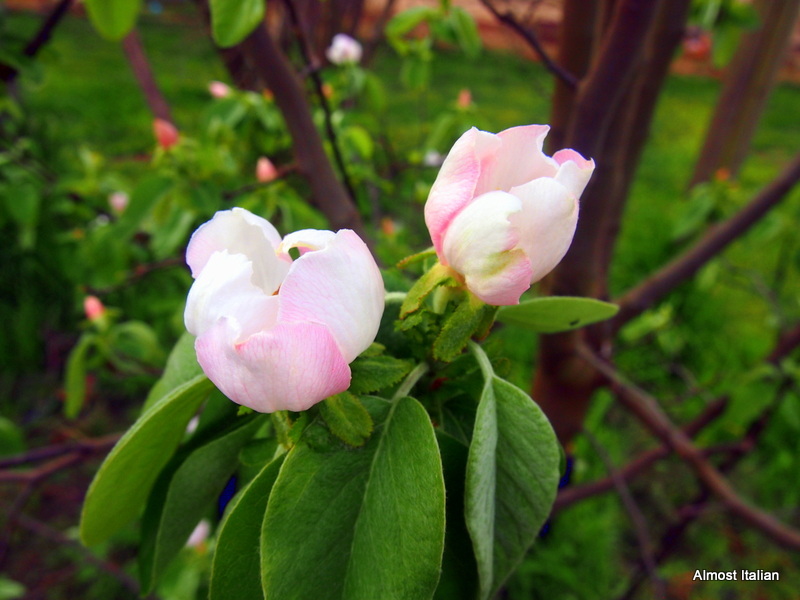 They were planted by the creek banks in the 1890s when the area around St Andrews was largely a fruit-growing district. That secret quince grove disappeared in the devastating bushfires of 2009. Quince and Almond cake in Autumn light. 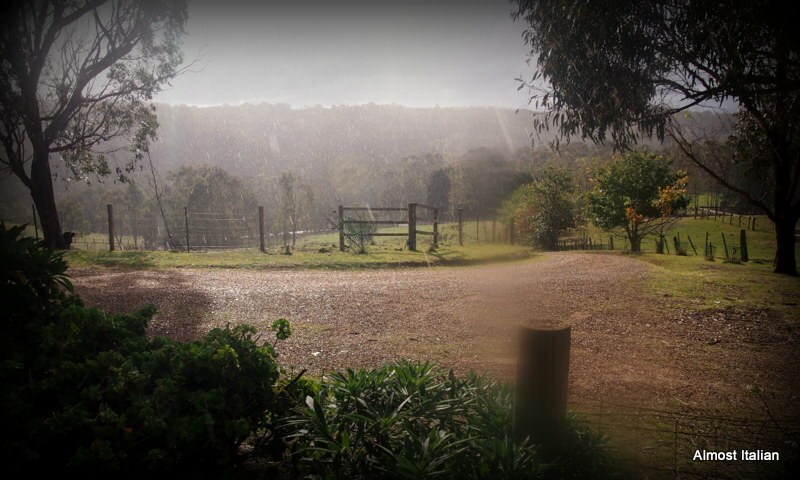 In the old days, the orchards bordering the Diamond Creek relied on its regular flow through this valley from its source in the Kinglake hills to the north. Records were maintained by orchardists up until the 1960s. As land holders turned away from agriculture, records of the Diamond Creek’s flow became impressionistic, but most locals will tell you that the volume has decreased significantly over the last 25 years, and in summer, the creek invariably dries up. Coincidentally, Coca Cola/ Amatil began buying up most of the underground water in the aquifer at Kinglake from the 1990s onwards, effectively dehydrating the communities further downstream. Kinglake water is bought for a song and is used to bottle Mount Franklin water. Thoughtless consumers drink pure water from plastic bottles, when they have a very good source of it in their own tap, while a beautiful local creek, a tributary of the Yarra, is left with an irregular flow, not to mention the ramifications for wild life, further desiccation of the bush, increase in bushfire hazard and the problem of plastic. 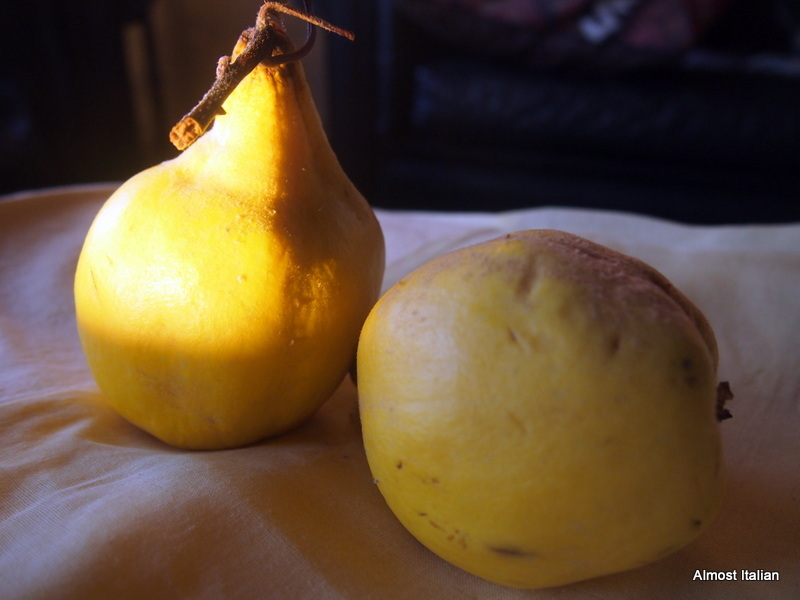 Returning to the glories of quince, I am happy to see that quinces are now widely available in markets, appearing from April onwards. My 5-year-old Smyrna quince tree produces well, but wild birds and summer water shortage makes for a small harvest. 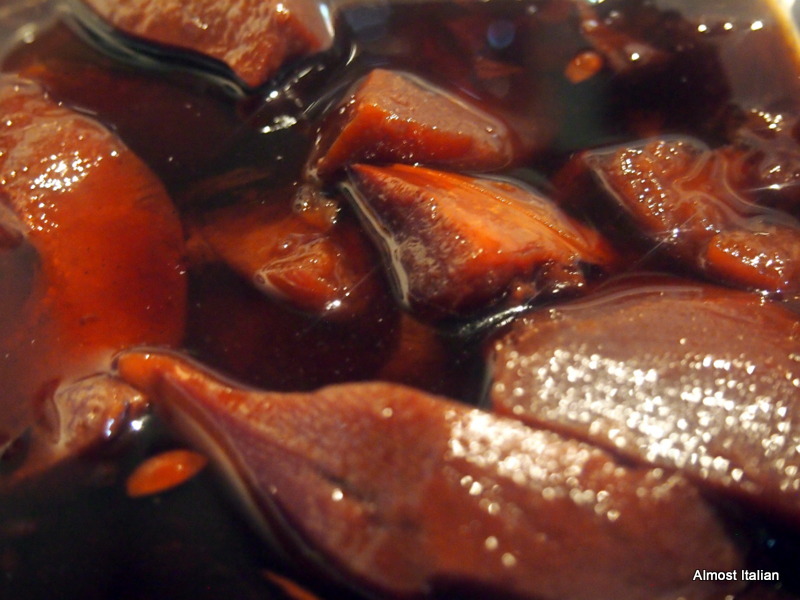 I make a few batches of poached quinces each season, which last quite well under poaching liquid in the fridge. I take out slices to make various cakes and desserts, then boil up the poaching syrup, reducing it to a jelly glaze to use as a sauce or jam. 2 large pre- poached quinces, drained and cut into slices, liquid reserved. Quince cake to share. Enough for 10. Preheat oven to 180°C or 160°C fan forced. Grease base and sides of a 22 cm springform pan and line with baking paper. Use an electric mixer with a paddle attachment to beat butter, sugar and lemon rind in a bowl until light and fluffy. 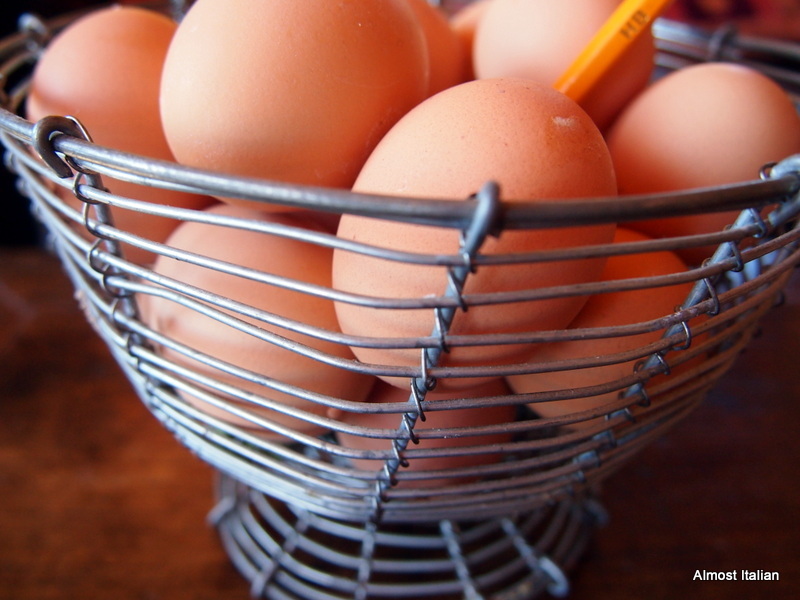 Beat in eggs, one at a time scraping down the sides of the bowl as needed. Stir in almond meal and flaked almonds. Then stir in milk and flour, alternating. Spoon 2/3 of batter into prepared pan. Top with half of quince. Top with remaining batter. Top with remaining quince. Bake for 1 hr 20 mins or until a skewer inserted in centre comes out clean. Stand in pan for 5 mins, then remove sides of pan. You may need to cover the cake with tinfoil after an hour if the top is already brown. Serve cake warm or at room temperature with cream and reduced, thickened quince syrup or more simply with sifted icing sugar. 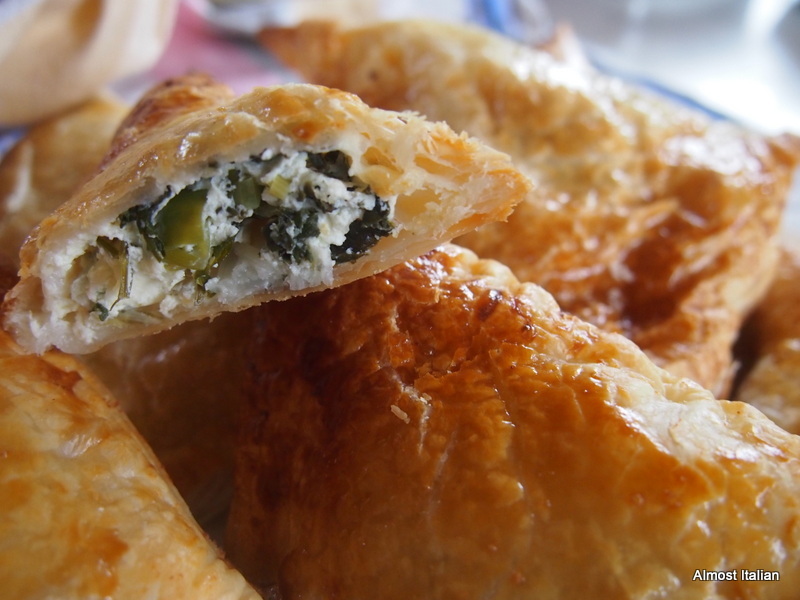 The Adapted Recipe. I didn’t like the sound of flaked almonds inside the batter but I still wanted a strong almond taste. I changed the ratio of almond meal to flour and removed the flaked almonds altogether. My version used 1 cup of almond meal to 1 and 3/4 cups of SR flour and a scant teaspoon of baking powder. Try either version. Maybe add a little slurp of Amaretto or a drop of almond essence. I also glazed the cake with some of the reduced hot syrup. On the first day of every month Celia, from Fig Jam and Lime Cordial, hosts a blogging event, In My Kitchen. This is a remarkable event for many reasons. In My Kitchen has provided a platform for many like-minded folk to connect. 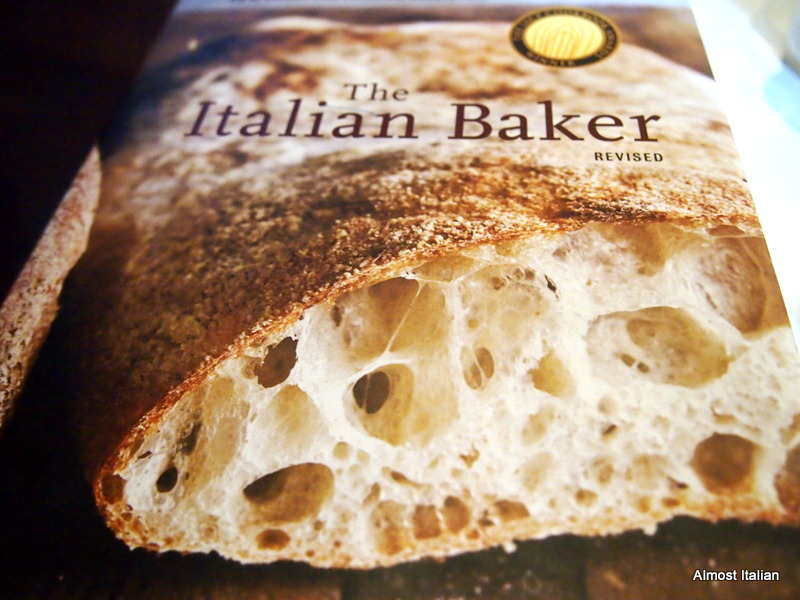 Through Celia, I have acquired my first sourdough starter, as have so many others, and learnt more about frugality, common sense and urban connectivity. I have also found some very dear friends. Are they virtual friends? I think not. Thanks Celia. Winter view from front window. But back to my kitchen. The disarray in the kitchen usually results from too many ambitious projects occurring simultaneously. 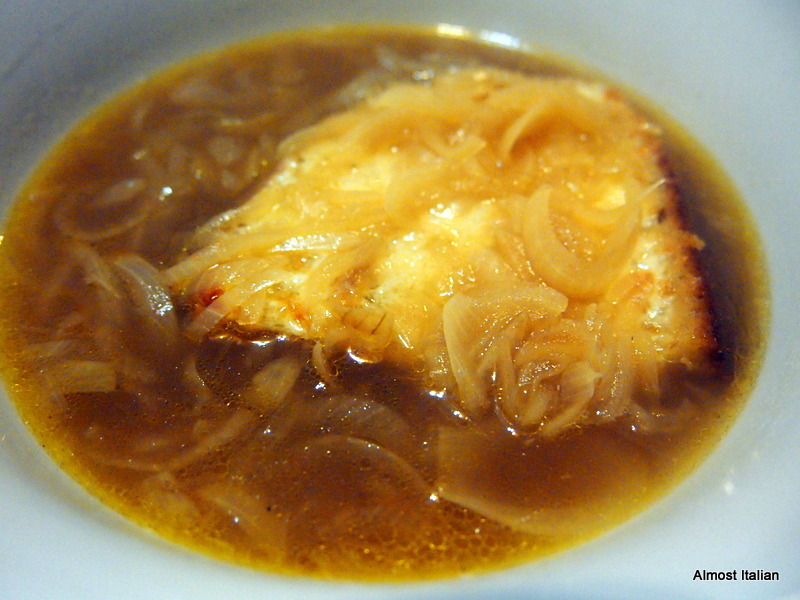 Yesterday I made some wonderful dark rich stock as I was yearning for a bowl of Soupe L’oignon. As I don’t eat meat, a suitable vegetable stock required the pre- roasting of vegetables, mushrooms and some other tricks. It worked well. Fish is cheap and plentiful in the fresh markets at present. 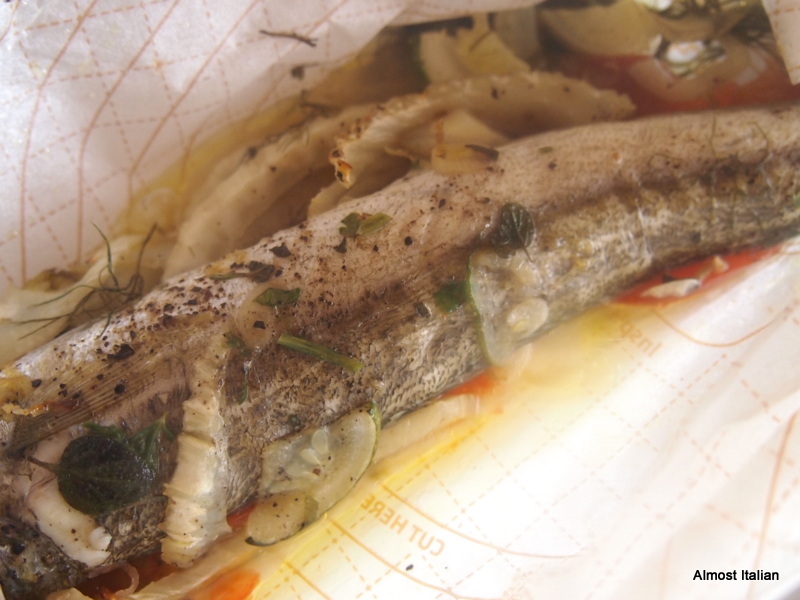 King George Whiting is a sustainable species. Here they are baked whole in Cartoccio, small parcels using baking paper, with fennel, lemon peel, tomato, garlic, fresh oregano, and olive oil. 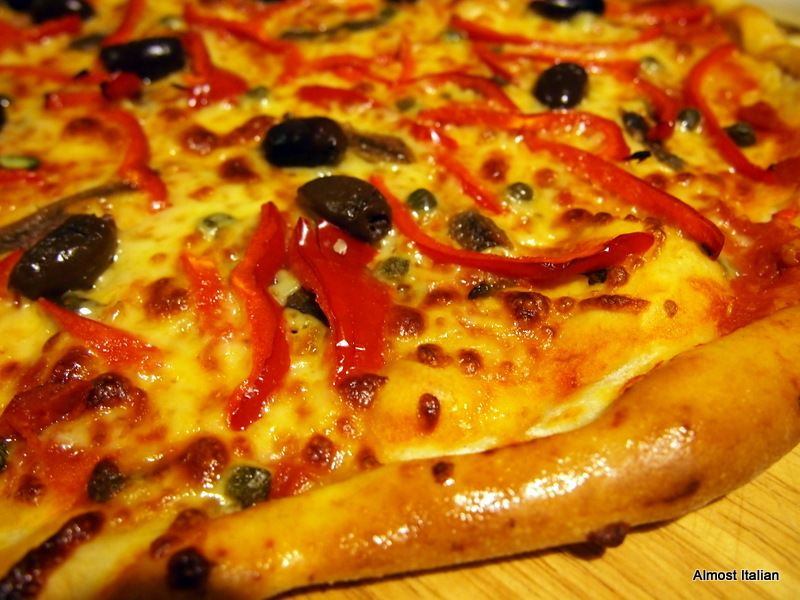 After 15 to 20 minutes in a moderate oven, they are ready. No waste, no frying. This year the quince tree started out with masses of baby fruit. Despite netting a few branches, the birds removed most of them, knocking them off the branches, then pecking their hard skins and discarding them. These two survived. As quinces are now abundant in the market and are extremely cheap, my two decorative quince joined some other less attractive specimens in a slow poach. I then stored the pieces under their ruby sweet poaching liquid in a covered box in the fridge. They make guest appearances in different sweets over the winter months and the poaching liquid becomes a glaze or a sauce for many other desserts. 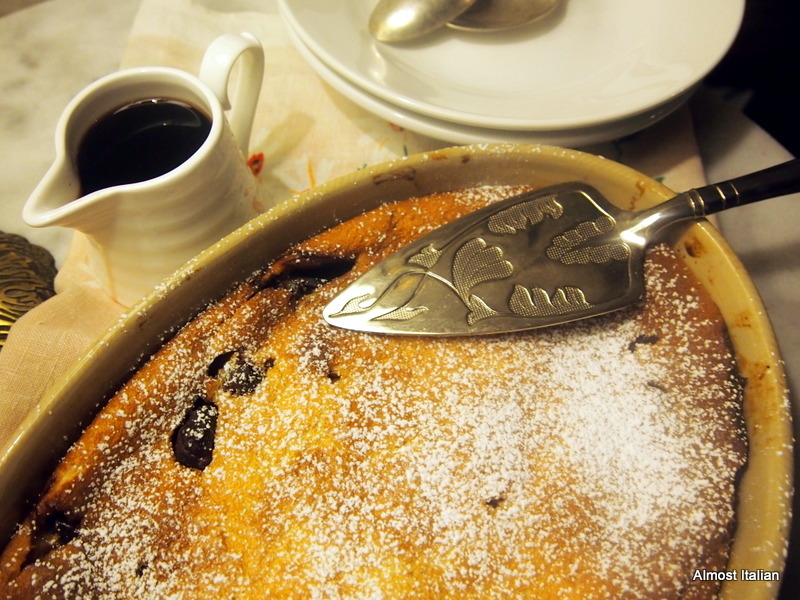 For example, this little baked thing, a cross between a Far Breton Pruneax and a Clafoutis is a moody dark dessert to eat in front of the fire while watching Top of the Lake. Recipe coming! In my kitchen are a few constant reminders of the cooking tasks ahead. Mr Tranquillo will eat all the oranges and mandarins before I think of a way to use them. 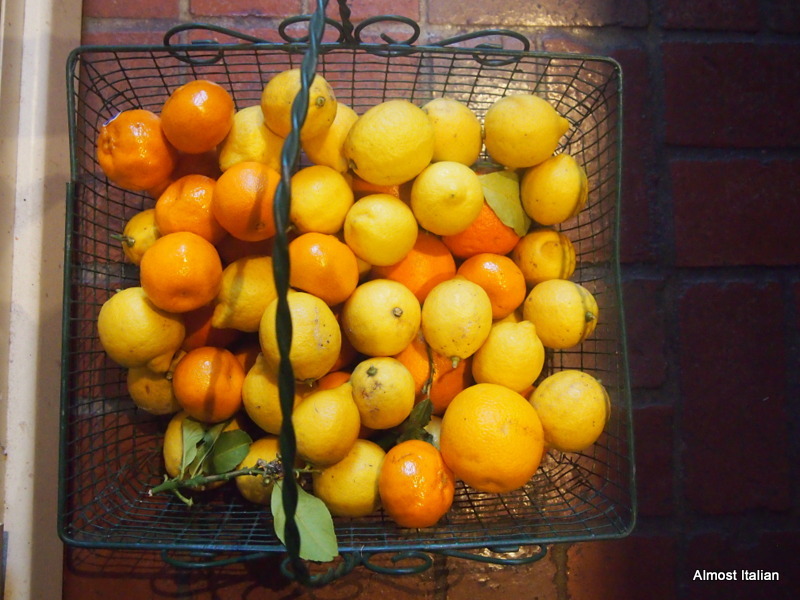 The lemons from my mother’s tree will be transformed into lemon curd, lemon delicious pudding and some cordial. Each time I visit, I return with another large bag. 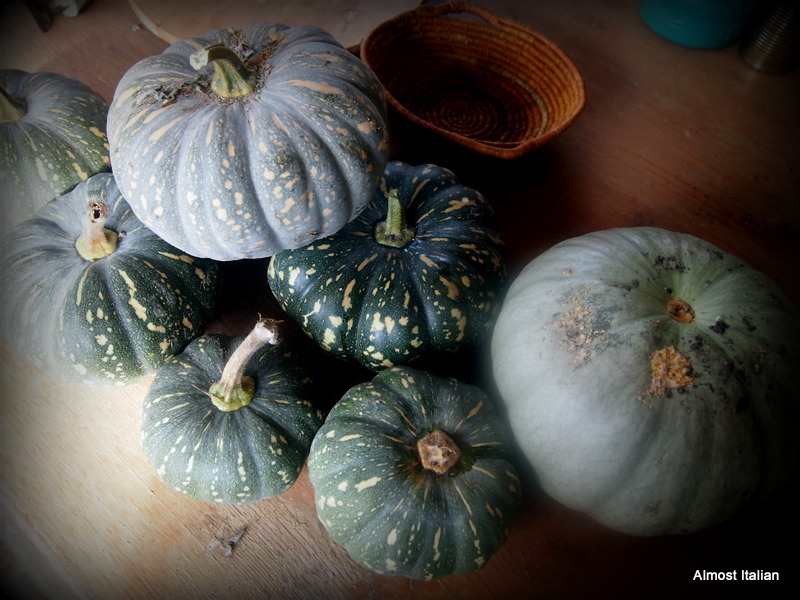 The pumpkins from the garden are loitering on the verandah table, a source of winter comfort food ranging from soups to Risotto alla Zucca. And what’s a winter kitchen without a few crazy kids? 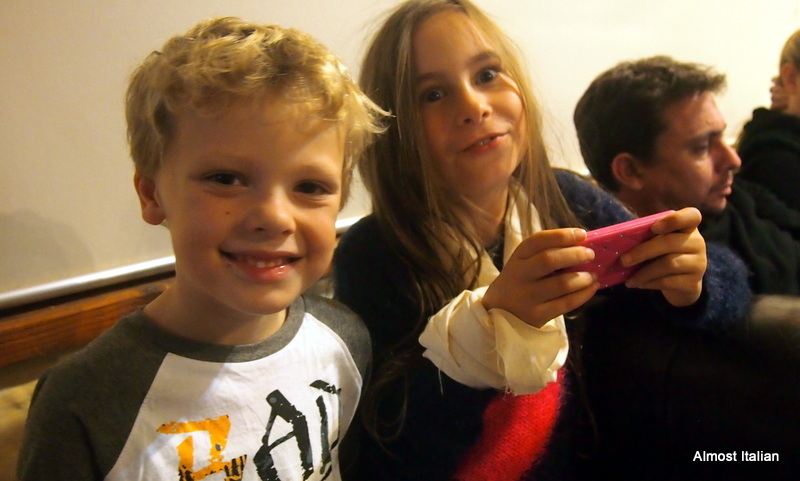 It was so lovely to return home from Indonesia and have a monster family dinner. How did we turn into 14? Here are two of them! I’m going to start with the most important thing a garden requires- compost. 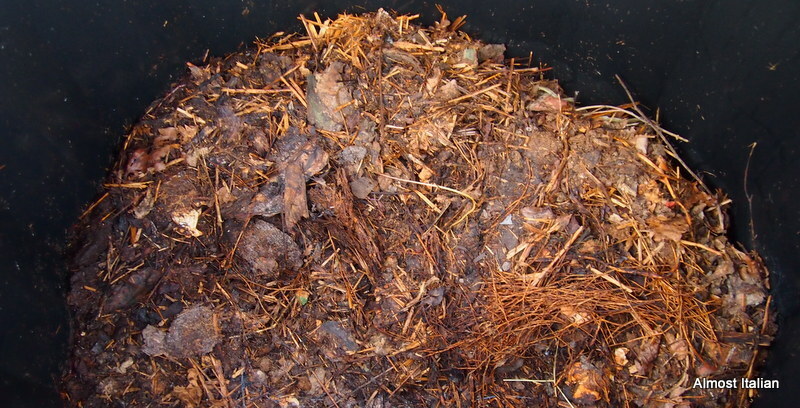 Without a consistent approach to compost making, your garden will not thrive. So let’s head down into the heart of darkness. Look inside this bin. Some mornings it sends up little smoke signals as I open the lid. We have five bins in permanent production. I have just emptied two mature lots onto the Spring beds. The other three are in various stages of breaking down. 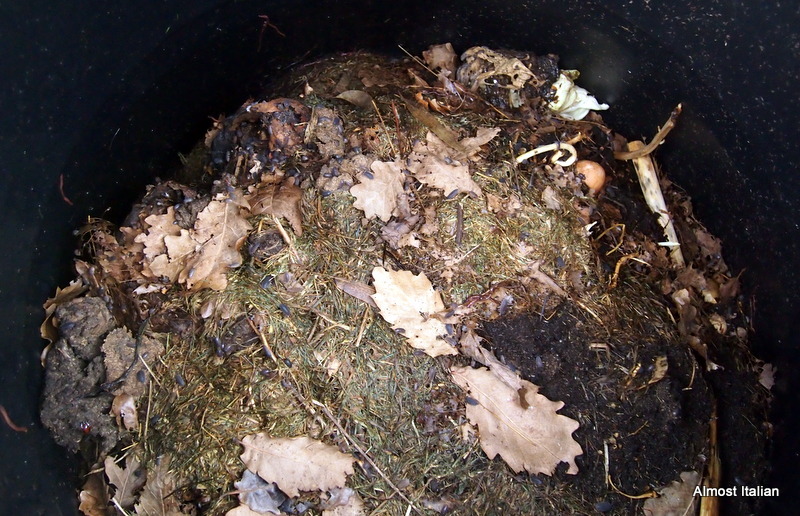 The base ingredient is one bucket of green matter, that is, vegetable scraps, or fresh grass/weeds then add to this one item from nitrogen column and any two items from carbon column. Too much carbon slows decomposition, and too much nitrogen smells. If you have vinegar flies, add more carbon and check your ratios. In late Autumn, I have an abundant supply of crunchy oak leaves providing the carbon matter. In summer, I save newspapers and shred them on site. Newspaper ink is vegetable based. You tear along the grain so that it shreds easily. I use cow and chook manure as I keep these animals, but the list provides alternatives for suburban gardeners. Weeds can be used so long as they are drowned thoroughly first to destroy any seed. Wandering around the Spring vegetable patch after some welcome rain, my photo lens and I discover the close up beauty of new life. 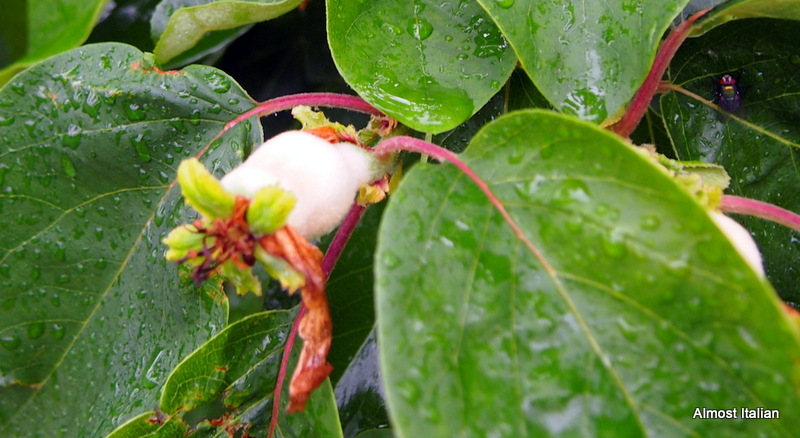 Seeds sprout and develop quickly, young grapes form on vines, last month’s quince flowers are now miniature fruits, the pears and apples are in flower and fruit, and the nectarines already colourful. Each photo suggests a task. 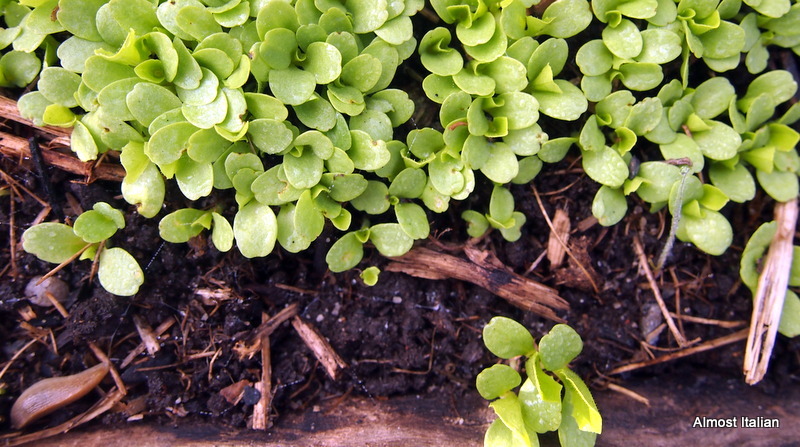 The little lettuce seeds need thinning and transplanting. I often wrap up a few clumps then make transportable containers using wet newspaper. Seedlings were once sold this way from nurseries. The strawberries are happy but I need to ‘acquire’ the materials for a walk in cloche. I am always on the look out for stuff in tip shops but thick poly piping is well sought after. 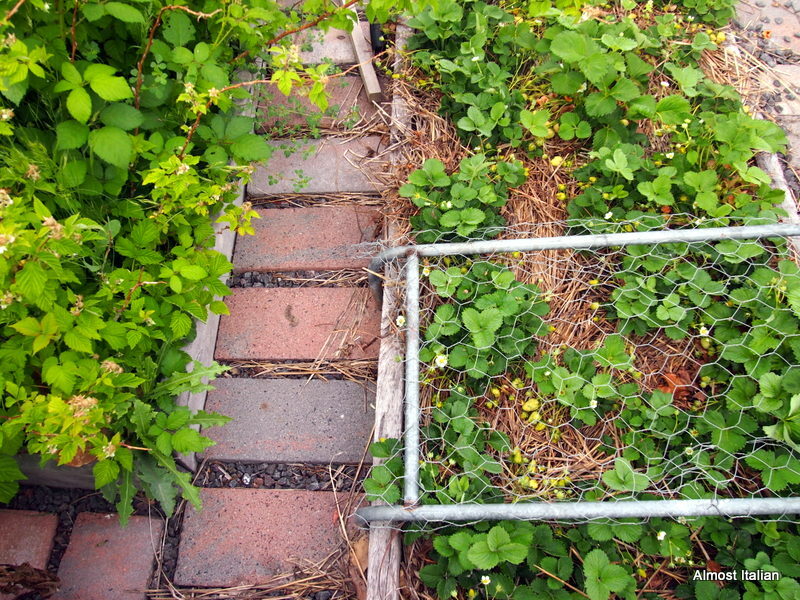 We have stolen three veggie patch beds for raspberries and strawberries. Now we are short of room for summer vegetable crops. 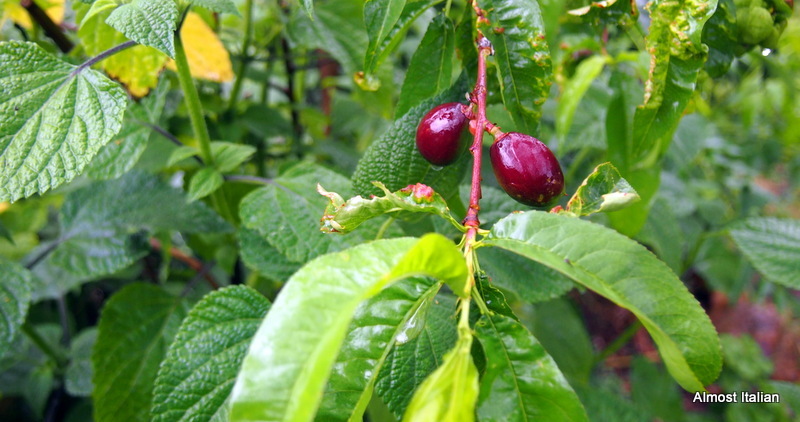 The children love to pick berries and eat them on site, as do the birds. The boysenberries have gone crazy and need containing. More freezer space is required! The zucchini plants are well on the way and I should see the start of the plague next week. 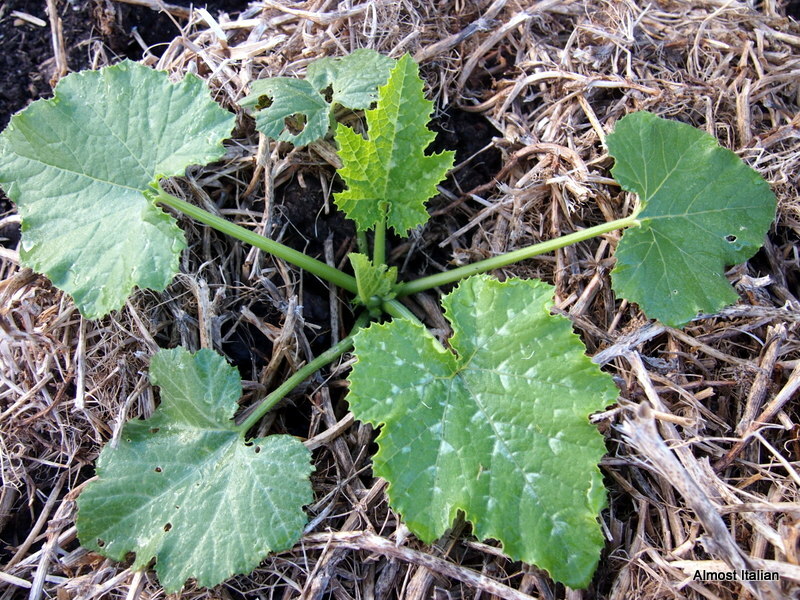 Traditionally in Melbourne, zucchini begin to fruit one week after Melbourne Cup Day. 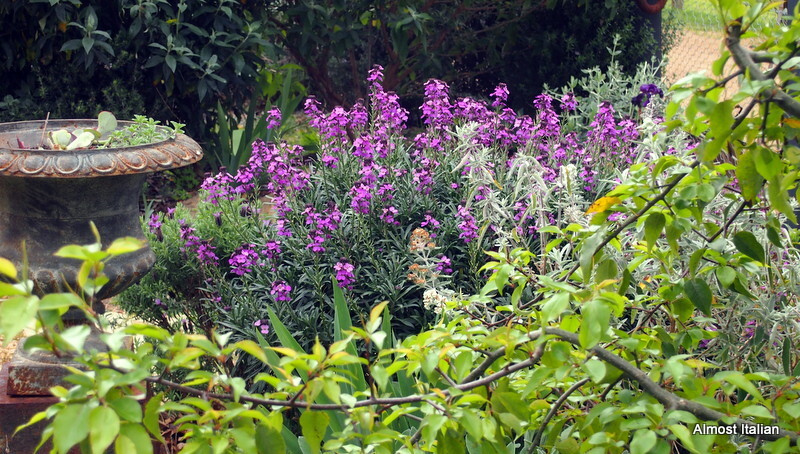 Melbourne Cup Day ( the first Tuesday of November) is used as a marker for all sorts of gardening activities. Some say that tomatoes must be planted from Cup day onwards. I plant mine much earlier, in the ridiculous hope that I might have tomatoes by Christmas. In the surprise bed, one dedicated to out of date seed, the Cucurbit family seeds all germinated ( all were five years out of date) as well as the borlotti beans. These little squash need thinning out and sharing. squash and cucumbers from the surprise bed. 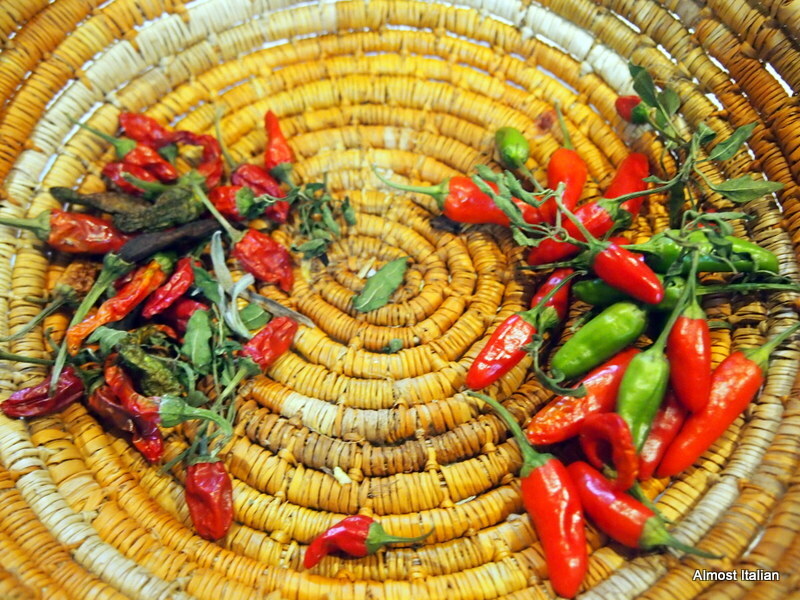 Winter crops are now going to seed and I save the best specimen of each vegetable for seed collecting. The only problem is that these giants take up valuable space. 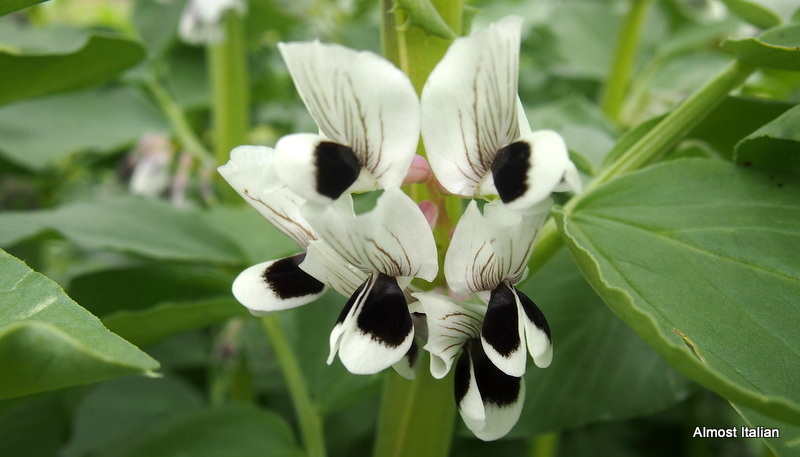 The importance of home seed collecting is that you end up with a variety, after some years, that is most adapted to your particular microclimate, as well as preserving the strongest of the species. Darwin at work! 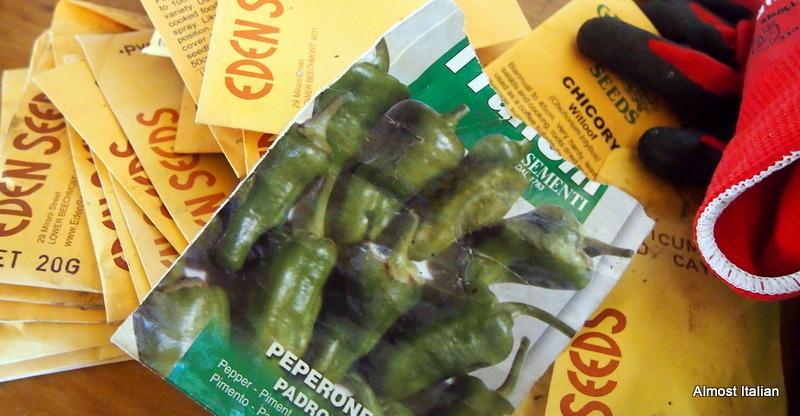 These seeds are swapped and given away. Sometimes, like all things, new genes are introduced. 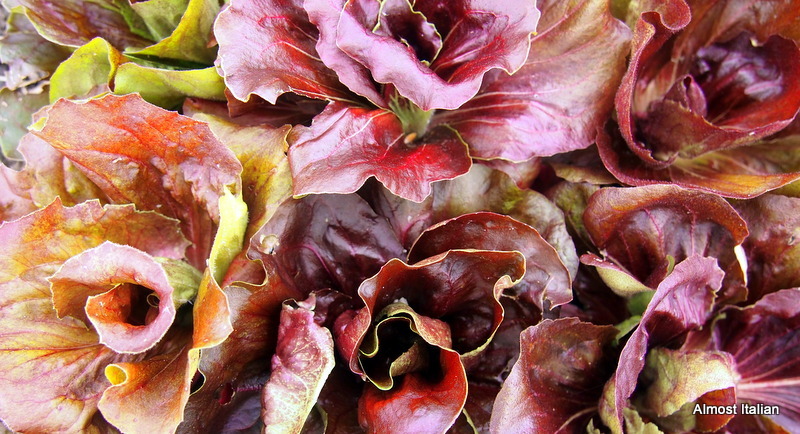 The red lettuce below was found years ago in a mesclun lettuce seed mix. I have saved this one to provide summer colour contrast to a lettuce bowl. 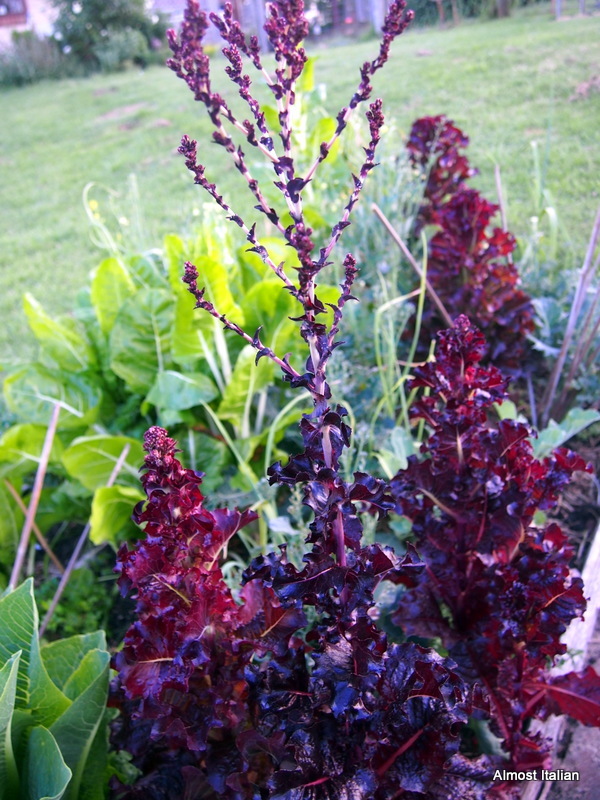 My favourite dark red lettuce is saved each year. Anyone know its name? 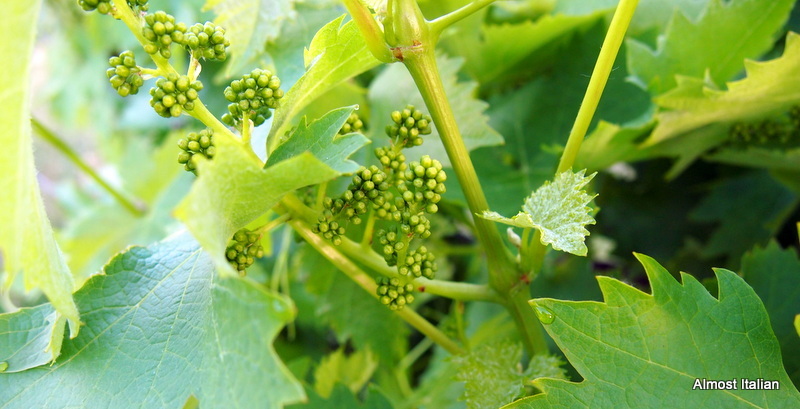 The grapes will be prolific this year: netting takes place in a month or so. 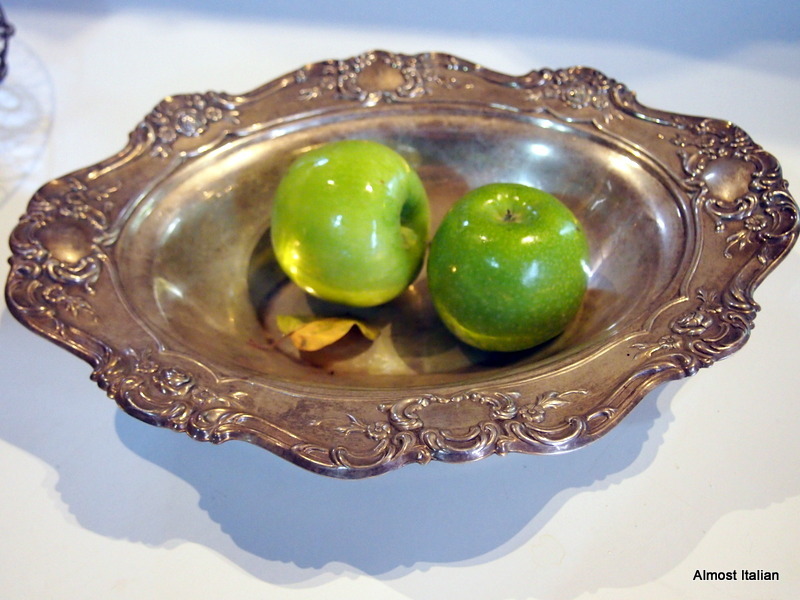 This year I plan to preserve some vine leaves for dolmade making, and the method can be found on Debi’s site here. I must be selective about this as the leaves shade the grapes from the vicious summer sun. The young nectarines are already bird attractors. Those hungry birds, mostly Eastern Rosellas, Crimson Rosellas, white Cockatoos, Corellas, and King Parrots, will attack young, hard fruit for fun; just testing, they say. The nets will come out soon, a big task to cover around 30 fruit trees in production. Even olive trees need netting. 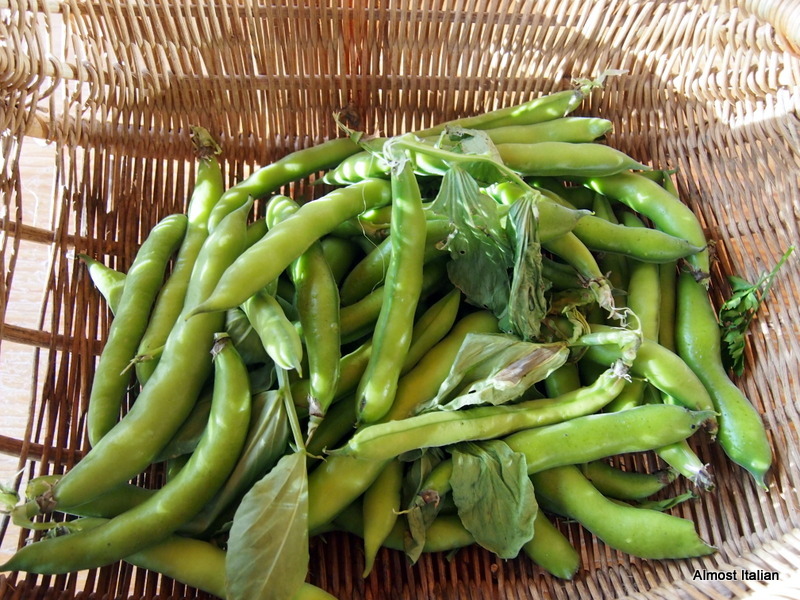 The broad beans continue to grace our garden and plates. 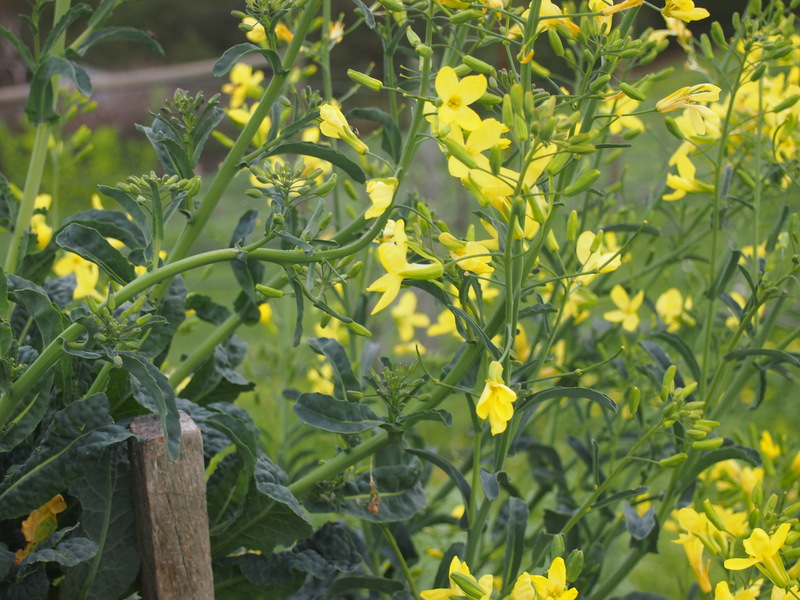 Other currently harvested crops include radicchio, rugola, and lettuce. Broadbean glut. Time to freeze. 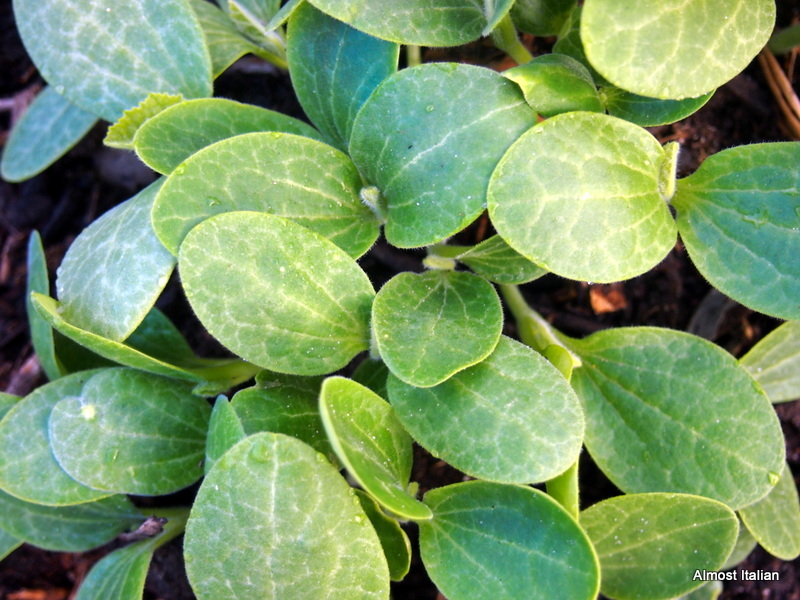 This post forms part of Garden Share Collective a monthly round up of food growing bloggers. If you lived next door, we could share seed and seasons of plenty.